1) Spring is here! Truly! So warm, so many birds chirping, so many peepers peeping! 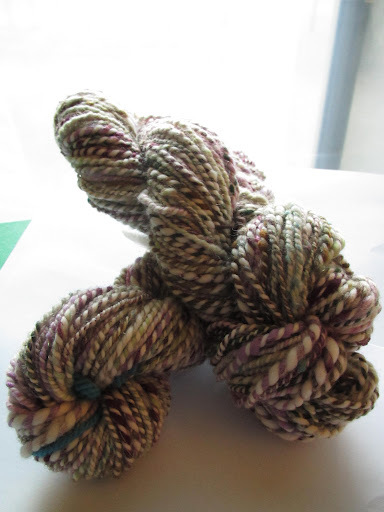 2) My newly-finished yarn looks like spring-in-a-skein and I ADORE IT! I love the way the colors play together, all the pinks and lavenders and greens and blues and browns. And the best part is, it’s wonderfully soft, not scratchy at all. Yay! 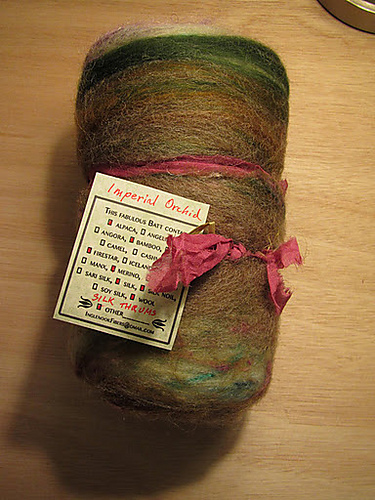 I can’t wait to knit something with it. What would you make? 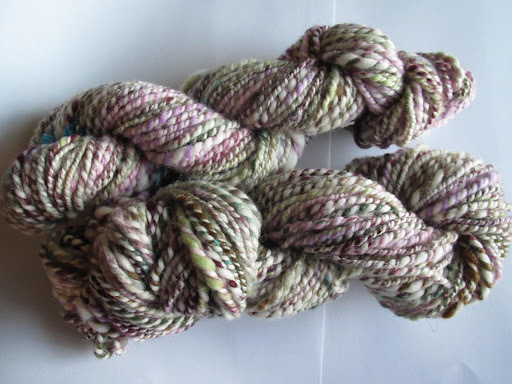 This entry was posted in handspun, spinning by shoelaceswitcher. Bookmark the permalink. 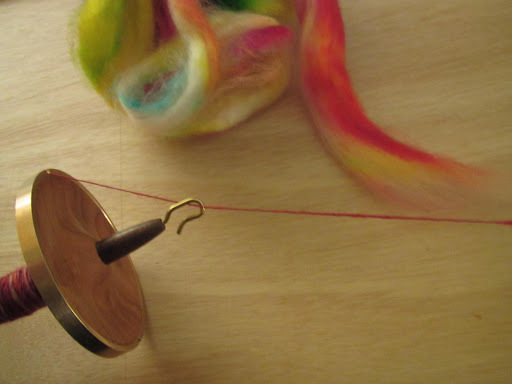 I wish I could spin that thin on my spindle, I keep seeing people do it and it makes me want to so badly! I love your yarns.